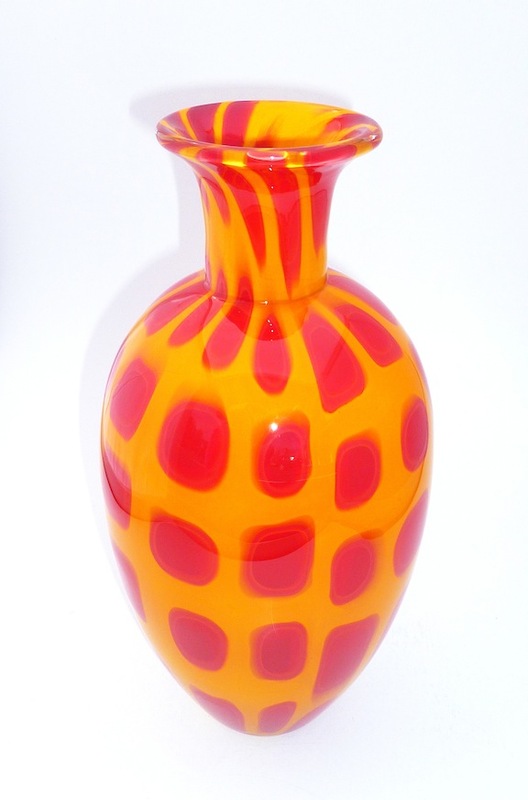 Red and Yellow Vase [Red and Yellow Vase Alex Craig] : FlameTree Glass, Inc. 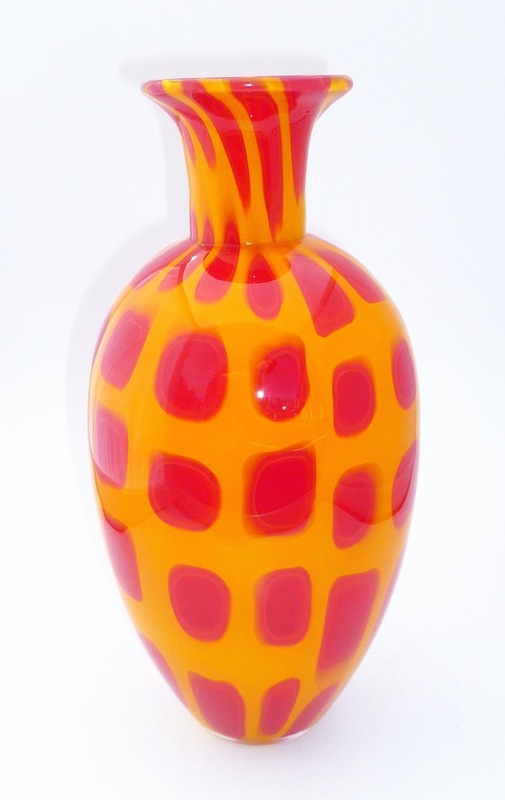 Bold yellow with red square patterns make up this hand made glass vase by artist Alex Craig. Classic shape gives color to any decor. Stands 12" tall and approx 6" at widest point.